I've been thinking a lot lately about calamari. I know it doesn't make sense. But it's one of those things where all of a sudden, calamari is everywhere. You're talking to friends that are passionately against their consumption. You're at th aquarium and you learn about just how smart these little guys are. You're sitting outside on a sunny day and you decide to satisfy your craving for a salty snack, washed down with bubbly. 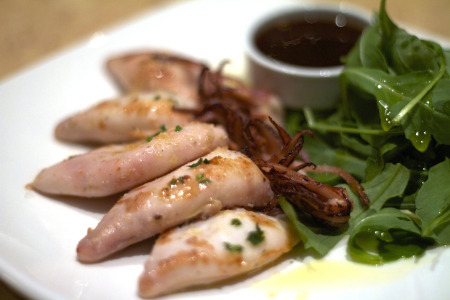 You find out that the 30th of every month is National Squid/Calamari Day (!!!). Okay, well, that's actually declared on a bogus Facebook page, but hey, that's enough for me to hit 'Like'. 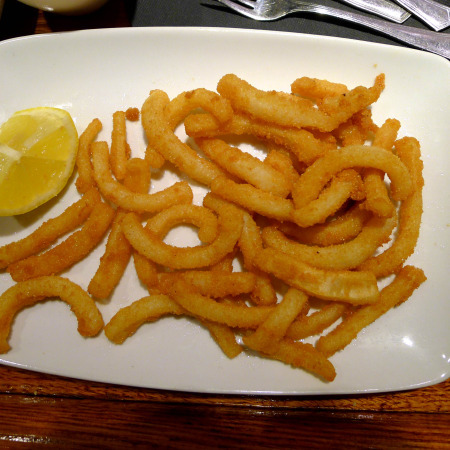 Food snobbery aside, let's all agree....even bad calamari are kinda good. And good calamari are worth doing ANYTHING for. 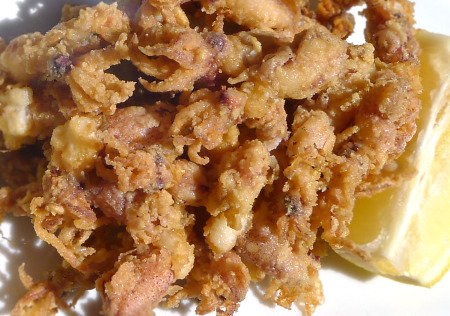 Calamari, caught with a hook, that day, fried simply and NO LEMON ALLOWED. 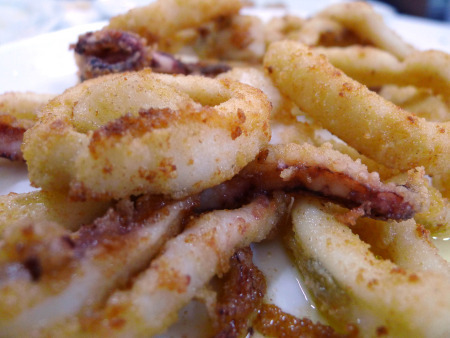 So here's a celebration of National Calamari Day, which takes place this Thursday. Enjoy a plate.